The Picket House Furnishings Channing Queen 2-Drawer Platform Storage Bed is the ideal bed for your bedroom! This bed brings the style and the functionality. Free up your linen closet and move those extra bed linens to the storage drawers in the footboard. 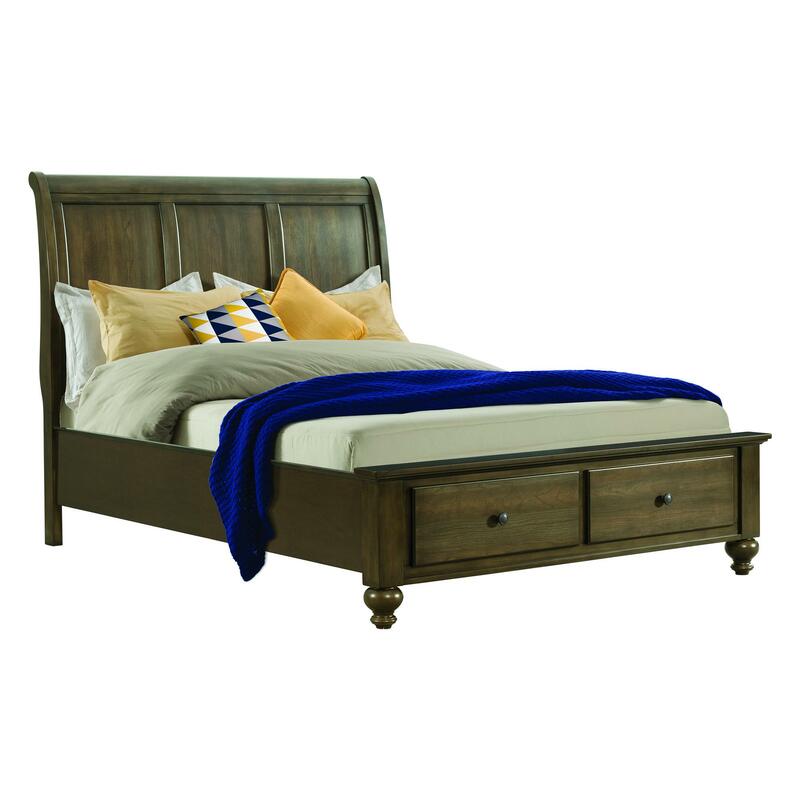 This bed comes with two spacious drawers in the footboard for any extra storage you might need. The panel headboard features a trio panel design, showcasing the Smokey walnut finish beautifully. Classic features are present throughout, from bevel edges to bun feet. Throw out your box spring because you won't need it with this platform storage bed.